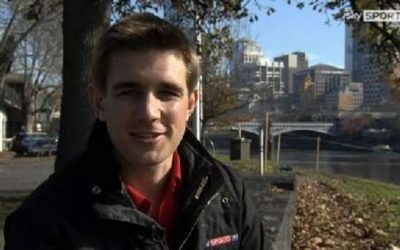 Alex Payne is Sky Sports’ main rugby presenter, covering English, European and International Rugby for the television channel. Alex Payne is the leading rugby presenter on Sky Sports. He was one of the youngest presenters on the channel when he first started and is now the main presenter of Sky’s coverage of English and European Rugby. Alex also hosts coverage of England’s Internationals, Heineken Cup & Tri Nations. 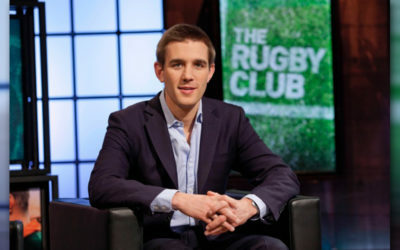 Alex Payne began his television career as a presenter on the ‘Rugby Club’ before travelling to New Zealand as the reporter on the 2005 British and Irish Lions tour. He has also presented Sky Sports News as well as poker for Sky Sports and Fox, including the FullTiltPoker.com Million Dollar cash game and Shane Warne’s Poker Ashes. Away from the cameras, Alex is a popular host and MC of events. He is a regular host for O2 (and their presenter of The Inside Line), the RFU, for Accenture, Amlin, Wooden Spoon, Rugby Force, QBE and HSBC. Alex has also presented a rugby special of Scrum Dine With Me. His relaxed and professional attitude has led him to host lunches and dinners outside of rugby (ie for law firms and investment banks). Alex also hosts charity days, sporting quizzes, product launches, testimonial dinners and conducts corporate hospitality within the sporting and non-sporting world. He is a very endearing presenter, young and talented with a great sense of humour. He isn’t afraid to ask the tough questions either. Sky Sports’ rugby presenter Alex Payne previews all the Six Nations matches for O2’s Inside Line. Alex Payne is to preview all England’s Autumn Rugby Internationals for O2’s Inside Line. 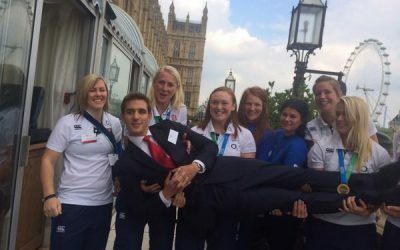 Sky Sports' Alex Payne spent the day at the Houses of Parliament with the England Women's Rugby team.